Over the past six months I've been sticking to my promise of trying out and experimenting with foundations and I have to admit, I've been loving it! 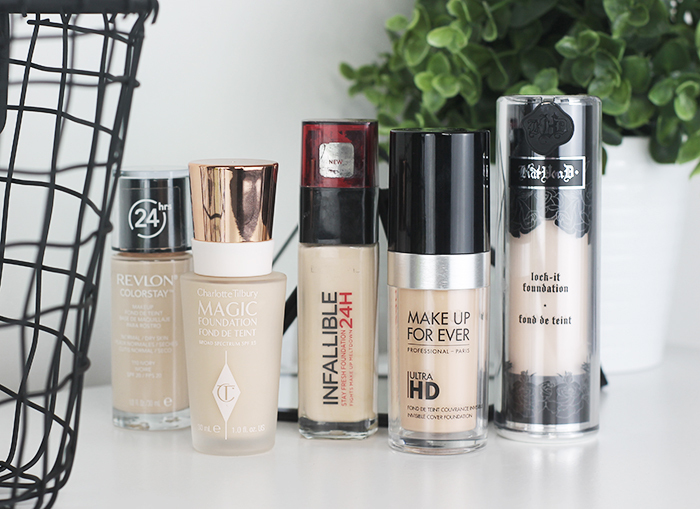 I'm so pleasantly surprised by the number of incredible bases I've discovered, and I've finally whittled it down to my top five foundation picks. Revlon Colorstay: I think this is the first foundation that I bought and immediately loved from the drugstore; it provides a stunning medium, semi-matte coverage which leaves your skin looking radiant and clear, whilst still allowing for your own skin to show through. Some may like this, some won't, but if you're in the market for a natural, daytime foundation, you may find happiness in this one. L'Oreal Infallible 24H Stay Fresh: Similarly to the Colorstay foundation, this is definitely a medium coverage foundation. I feel this is a little higher in the coverage department than the Colorstay though, which makes it perfect for both day and night wear. I think this is actually the palest foundation shade I've found in the drugstore and it suits my skin perfectly. It covers all redness and discolouration, but still lets my freckles peek through which I adore. 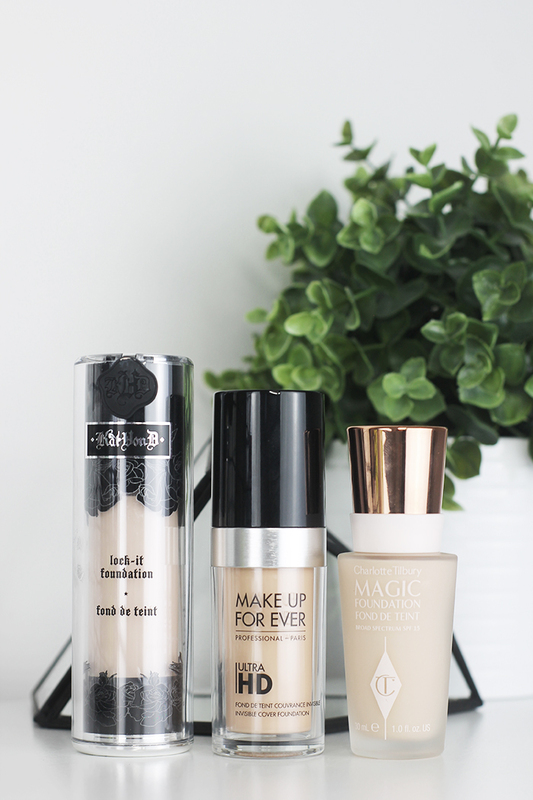 Charlotte Tilbury Magic Foundation: I actually did a full review on this foundation which you can read here if you fancy. With the high price point that accompanies this foundation, I was expecting miracles for the appearance of my skin. 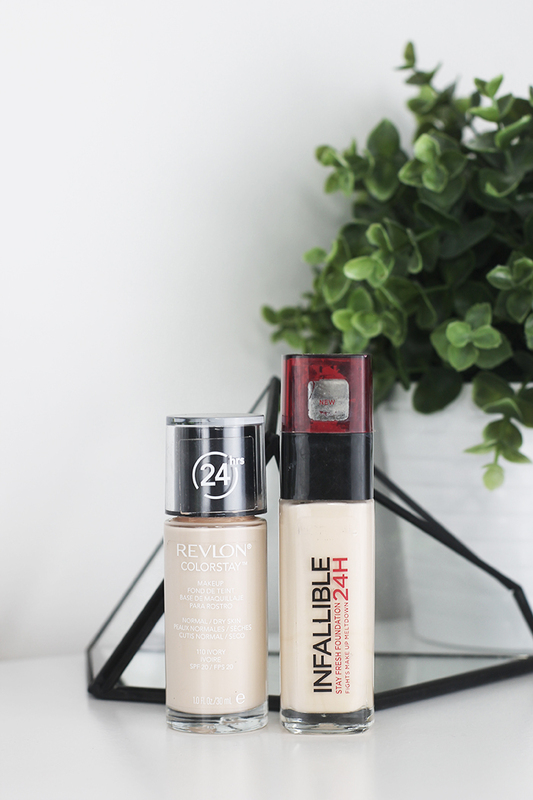 I certainly was not disappointed by this; the coverage is medium, but is definitely buildable to get that higher coverage, whilst still feeling lightweight on the skin. What I actually love the most about this though is that your base still looks like skin, no cakeyness here! And not to mention, the packaging is rose gold, dreamy. Makeup Forever Ultra HD: Full review here. This is definitely on the higher coverage side of the spectrum, and on the higher price range as far as foundations go. BUT, and thats a big but, it's definitely worth it. The formula is super long wearing, a little goes a long way, and the finish is dewy but not oily looking whatsoever. I'm converted. Kat Von D Lock It: This is the most recent addition to my foundation collection, but that makes it no less brilliant. This foundation is the highest coverage I've found as of yet, and is incredible for photography. I work in front of a camera when I do my makeup looks, and it withstands my soft boxes and ring light and still remains flawless. This is the palest foundation I own too, the shade range really does cater for almost everyone. I use my beauty blender to apply this and it really meshes well into the skin rather than just sitting on top of it - full coverage but definitely not cake face material. There you have it! As you can tell I don't really look at the lighter coverage products; I'm more of a 'go hard or go home' type of girl when it comes to my base. I either stick to concealer where I need it or go all out, there's really no in between! Do you own any of these, what're your thoughts?